A spa at home offers easy strategies for meeting even the toughest self-improvement priorities. Here are three self-improvement tricks to power through from the family hot tub. When the body is less stressed physically, the mind is also free to relax, which increases patience naturally. Ease tension from the neck, shoulders and back with hot tub massage and watch tolerance increase tenfold. 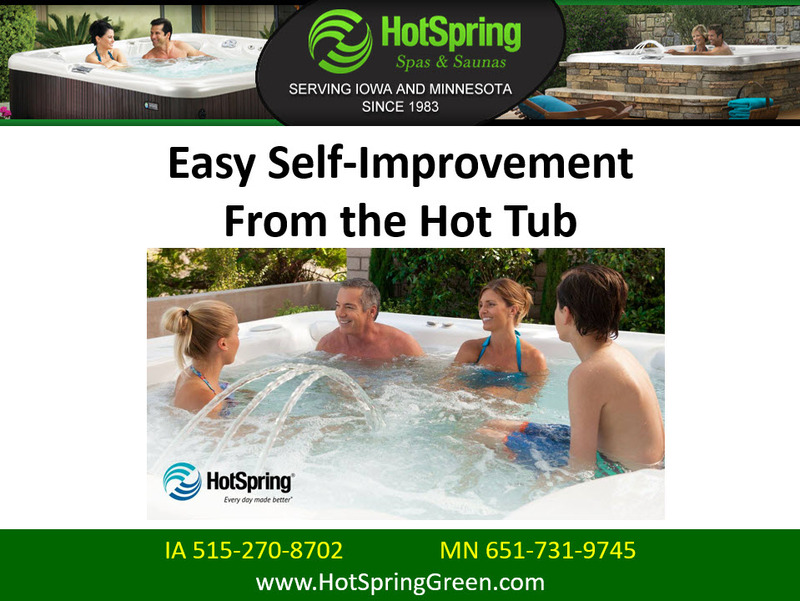 A hot tub at home makes it easy to build positivity by soaking away the blues and clearing the mind. Warm, temperature controlled water energizes and restores achy muscles and joints, improving mood naturally. A few minutes of “me” time in temperature controlled water inspires, restores and rejuvenates a tired, overworked mind. Sit back, relax and release tension and anxiety from shoulders, neck and low back naturally.